Posted in Accidents by Mikhail Voytenko on Jul 20, 2016 at 11:45. 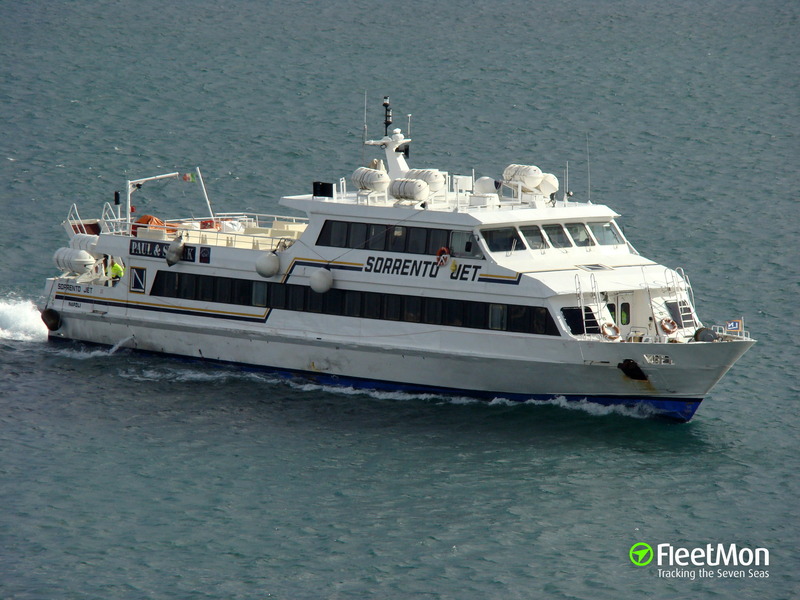 Fire broke out on a ferry SORRENTO JET, docked in Marina di Vieste, Italy Adriatic sea, at around 0400 LT July 20, and engulfed superstructure. Several fire engines and firefighting teams were deployed, situation was worsened by a strong wind, fanning the fire. Ferry understood to suffer heavy damages, arson suspected.